Weare pleased to inform you that 328 Employees Old Age Benefits Institution EOBI Jobs NTS announced in the ministry for overseas Pakistani and development to fill the vacancies, for this purpose they will require the candidates who fulfill the requirements of the EOBI according to the new rules of 2014.EOBI assigned this responsibility to the National Testing service of Pakistan to conduct tests and recruitment of the candidates who will qualify for the post they apply. NTS select those candidates who meet the requirements of the EOBI and according to the merit of the NTS. National Testing service announced the last date of application form submission which is 10th July,2017. 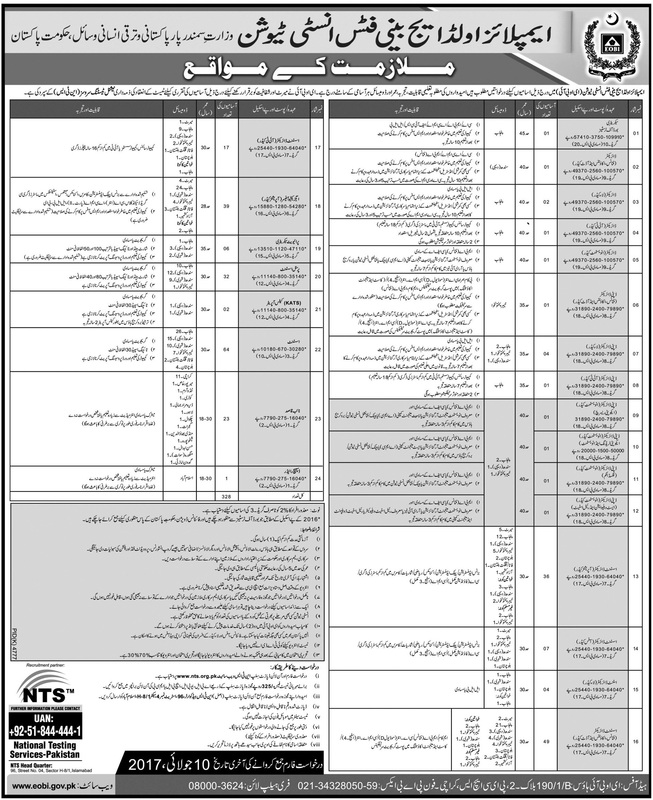 Eligible candidates are required to visit NTS website for online registration in this regard accordingly.Women and minorities quota will also announced and observed as per government policies.Employees Old Age Benefits Institution EOBI Jobs NTS Summary of positions along with place and nature of job total vacancies, last date and procedure to apply as well as online test preparation platform is given below. Get Online Registration first in order to get application form as well. Application form will available on NTS website online along with the deposit slips also. Applications which submitted by hand will not be acceptable only online applications will accept. 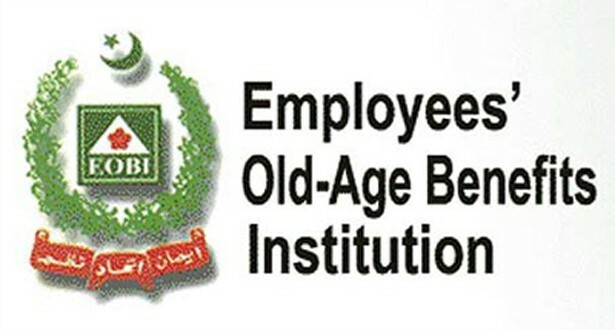 For more updates and results regarding Employees Old Age Benefits Institution EOBI Jobs NTS keep visiting this page, we will provide online every information about Employee Old-age Benefits Institutions jobs Application Form,Roll No Slips,Results and Answer Keys After Test 2017 here. Applicants will know results, test date and selected candidates list from here, we will update this as results will announce so stay with us for further details. SIR EOBI CHALLAN NOT AVILABLE ON NTS WEBSIDE PLEASE UPDATE.